St. Robert Bellarmine, SJ (1542-1621) was a cardinal archbishop, papal advisor, and one of the 17th century’s most distinguished theologians. He was also the spiritual father of St. Aloysius Gonzaga, SJ, the patron saint of youth. St. Bellarmine combined great wisdom and learning with a passionate love of Christ, while living in the midst of a busy life fraught with much controversy. In 1930, he was canonized and the following year was named a Doctor of the Church. St. Bellarmine is the patron saint of our retreat house because he embodies the integration of head and heart and of contemplation and action, which fosters our growth in the likeness of Christ. Our intention at Bellarmine Jesuit Retreat House is to follow the example of St. Bellarmine by assisting people in falling more deeply in love with Jesus: living faith not apart from the world, but in the marketplace of our age. 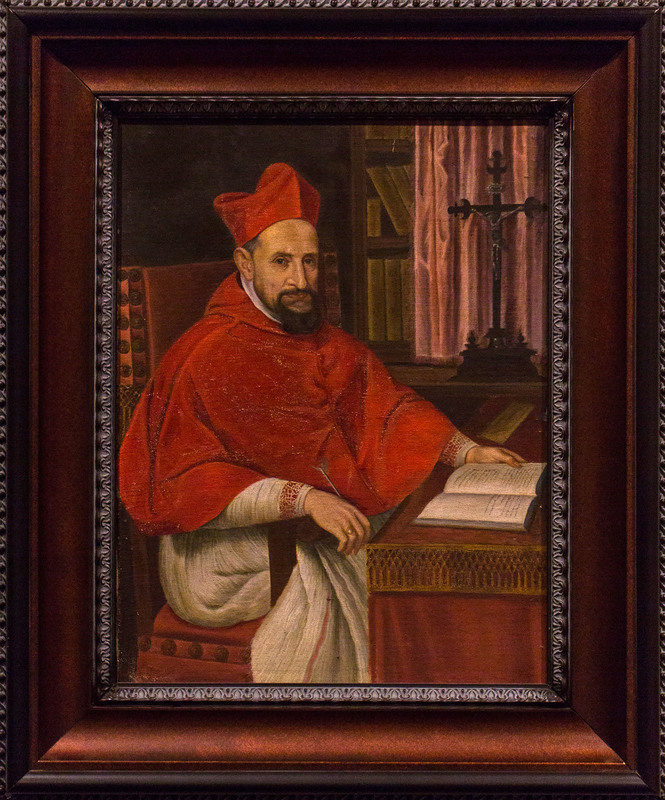 O Lord, You blessed St. Robert Bellarmine with great wisdom and learning. May we, like him, use well the double gifts of faith and reason. May we grow in understanding our faith, diligence in living it, compassion in our service toward those in need, and in all things, grow toward ever-greater love of You. Through Our Lord Jesus Christ. Amen.